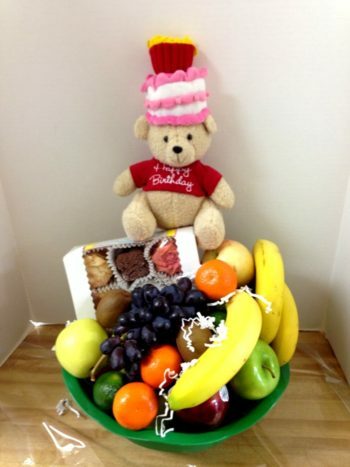 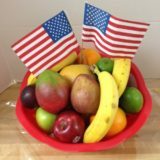 A unique, healthy Happy Birthday Basket from Basket Express includes assorted fresh fruit of the season, which might include apples, bananas, pears, oranges, kiwi and more, and it’s topped with an adorable Happy Birthday teddy bear! 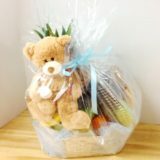 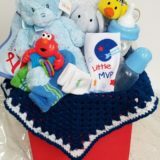 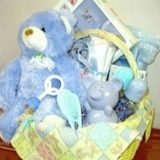 We like to wrap this basket with the bear’s head coming out the top, so when it’s delivered the lucky birthday person knows it’s special just for them. 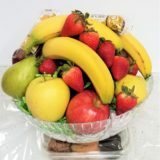 Season fruit varies, and is chosen daily from a local market. 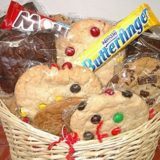 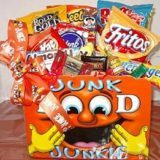 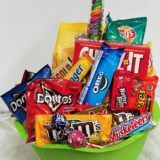 We add cookies for an almost Healthy Happy Birthday Basket!